When you venture off the beaten track, you'll discover unique hidden gems and gain an entirely fresh perspective of Korea! We love the fashionable modernity of Seoul, the cultural sites in Busan, and the beach resorts of Jeju − but discovering the lesser-known gems in rural Korea offers entirely fresh perspectives to both seasoned and first-time visitors to the country. Quaint old towns, seaside biblical miracles and more await when you venture outside the city limits of sprawling metropolises. 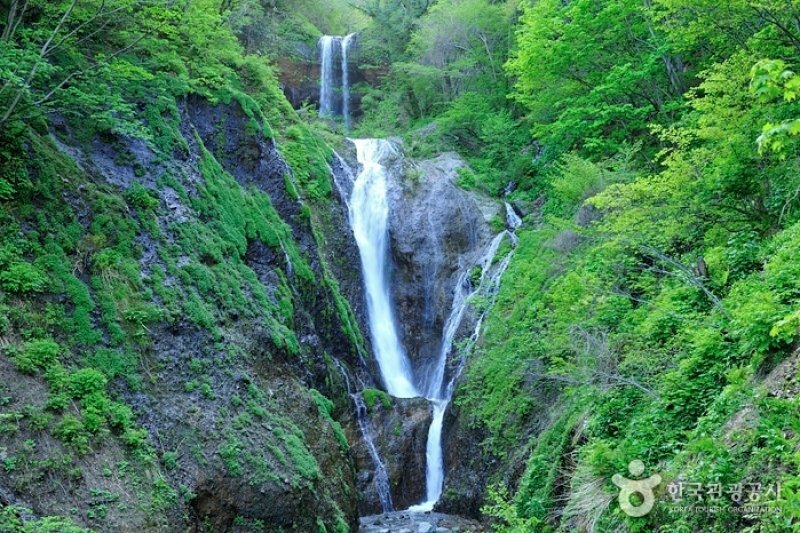 Here is our pick of 7 amazing countryside destinations to add to your next itinerary in Korea! In spring, a miraculous natural phenomenon takes place at the southern tip of the Korean Peninsula; at Jindo, the sea mysteriously parts to reveal a narrow strip of land, meandering 2.9km to nearby Modo Island. 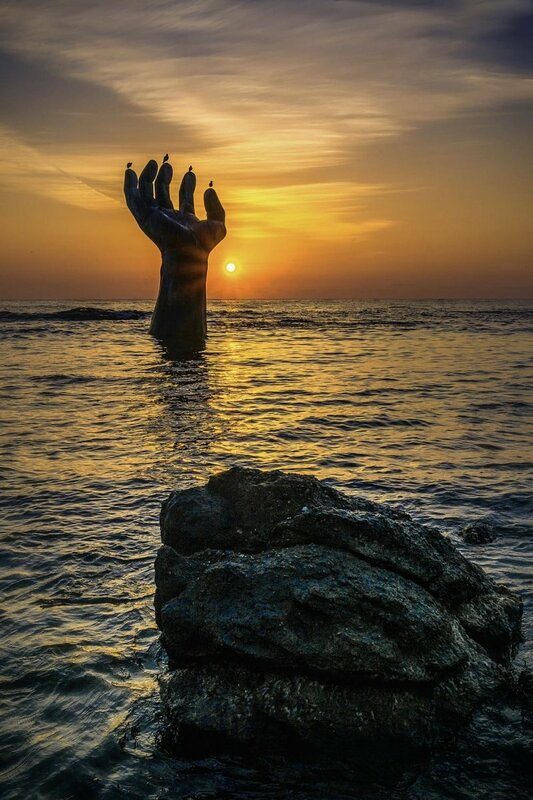 It instantly draws parallels with Moses’ parting of the Red Sea from the Old Testament, but local folklore attributes the spectacle to the prayer of an old woman, left behind after Jindo’s villagers fled from tiger attacks. 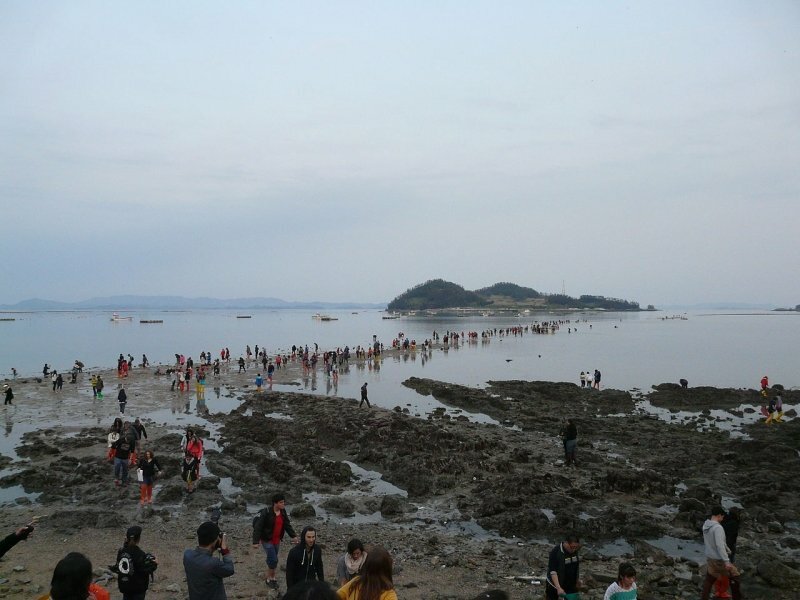 While the phenomenon takes place several times throughout the spring, the four-day Jindo Sea-Parting Festival is held once every year as a celebration and remembrance of the Old Woman in the tale, Bbyong of Hoedongri. 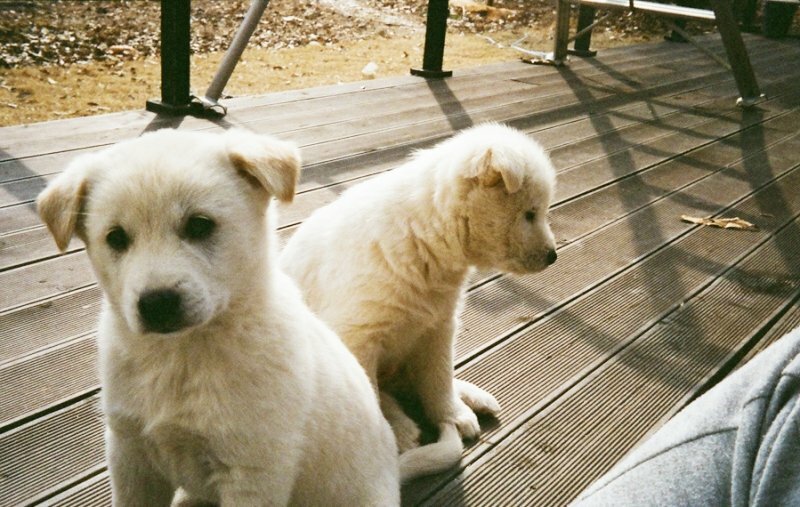 Stay overnight at a local homestay in the countryside and keep an eye out for the charming Jindo dogs, famous for their unwavering loyalty and gentle nature! Jindo Island is also a gateway to Dadohaehaesang National Park, the country’s largest national park and one of its four marine and coastal national parks. Many of the 1,700 islands that make it up are uninhabited, although some support small fishing communities. Ferries depart regularly to cruise around breathtaking rock formations and take visitors to scenic islands, where one can trek through stunning evergreen forests or laze on sandy beaches. Access: From Central City Express Bus Terminal, take an express bus to Jindo. 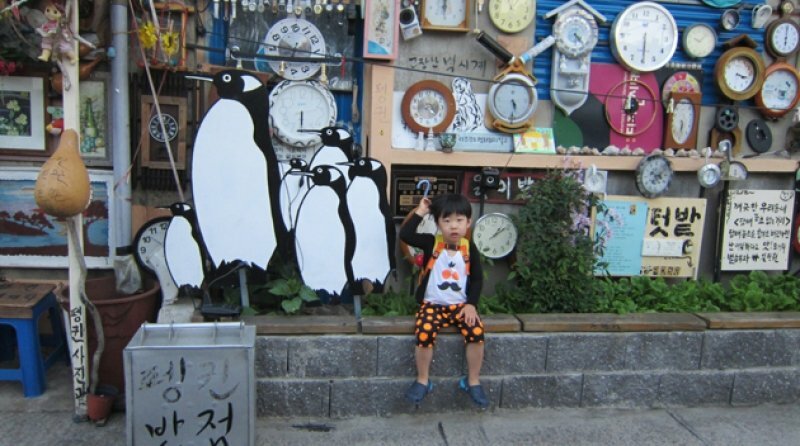 Tucked in a corner of Yangnim-dong, Gwangju is a narrow street leading to an unconventional attraction: the artsy, cultural Yangnim-dong Penguin Village. While the penguin signage and murals decorating the village make it seem like it’s from the 70’s, there aren’t actually any penguins wandering the streets; it was supposedly named after the penguin-like way that the elders here walk when suffering from knee pain. The unique street art decorating the alleys and gardens resembles an eclectic art exhibition, and many of the works are created from upcycled household waste from abandoned houses. 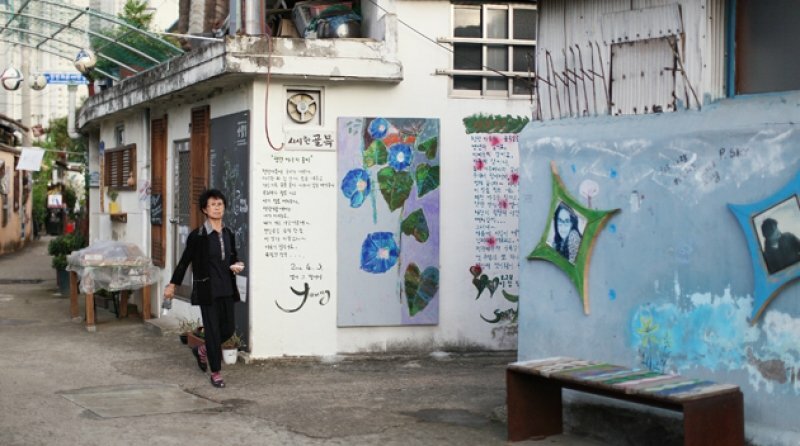 Poems written by local residents decorate the walls of one street, while panels of broken guitars and old paintings line the next. 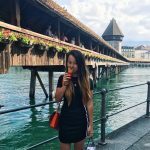 Many great photo spots and fascinating treasures can be found by taking a walk around this vintage town. Local craft stores sell quaint homemade souvenirs, such as pens made of wood, and small convenience stores sell old-fashioned confectionery items. You can even try your own hand at making sugary candy for yourself, and take it home on a lollipop stick! Access: Take an express train from Seoul Station to Gwangju-Songjeong Station, then take the Gwangju Subway Line 1 to South Gwangju (Nam Gwangju) Station. 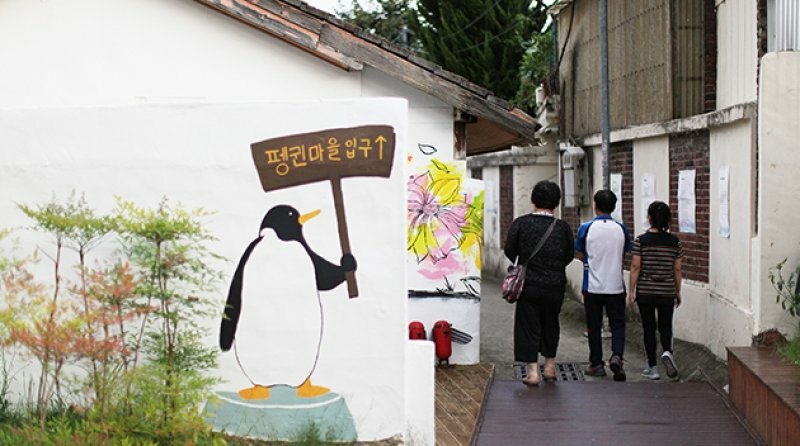 Take exit 3 and head towards the Yangnim-dong Community Service Center, then follow the penguin signage to find the Penguin Village. UNESCO-listed Hahoe Village should be one of the top destinations on your list if you’re seeking a rural escape. Tucked deep within the Taebaek Mountains, Hahoe Village (translated literally, ‘Village Enveloped by Water’) is named after its position on an S-curve of the Nakdong River banks. Interestingly, the village was mapped out in accordance with pungsu (Korean feng shui) principles, resulting in its lotus flower shape. 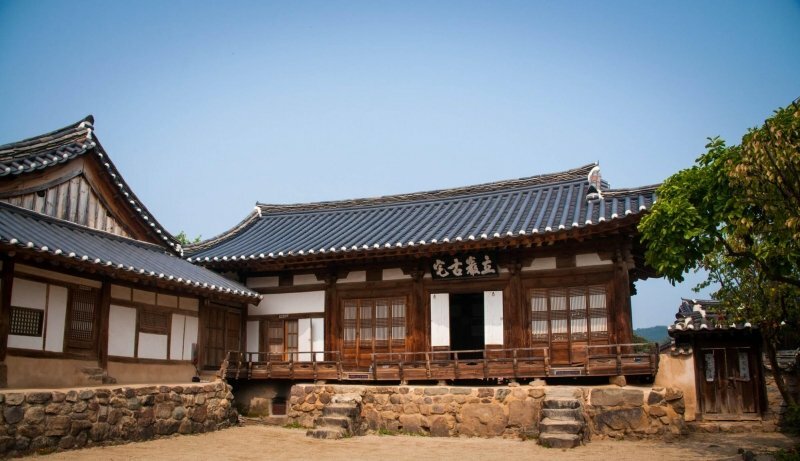 Rich in traditional culture, the village retains the original styles and structures of its first inhabitants from the 16th century, the Ryu clan of Pungsan; the Wonjijeongsa Pavilion and Byeongsan Confucian School are prime examples of Joseon Dynasty architecture. 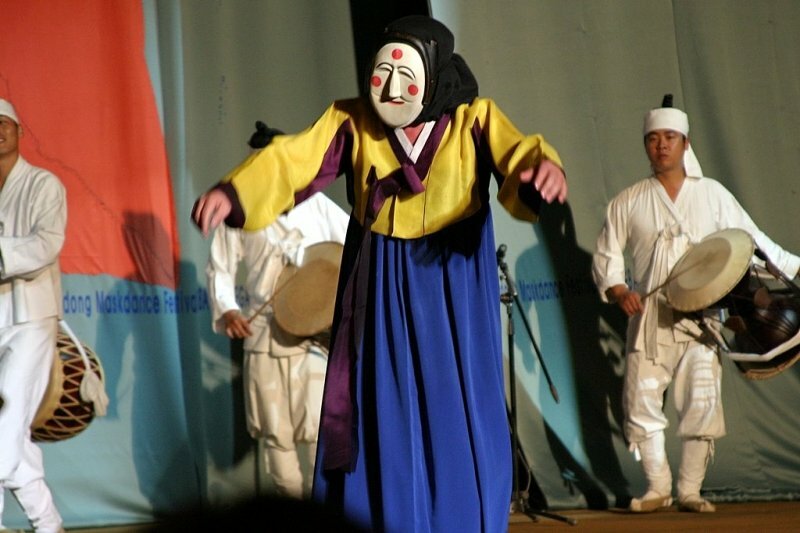 Ancient folk art and traditions are also still practised by the village’s inhabitants, such as the byeonlsin-gut (Hahoe Mask Dance), a shamanistic rite honouring the communal spirits of the village. Make sure to drop by the Hahoe Mask Museum to learn more about the practice and the Hahoe masks used! For an authentic taste that’s passed down as tradition, the andong jjimdak here is a must-try. 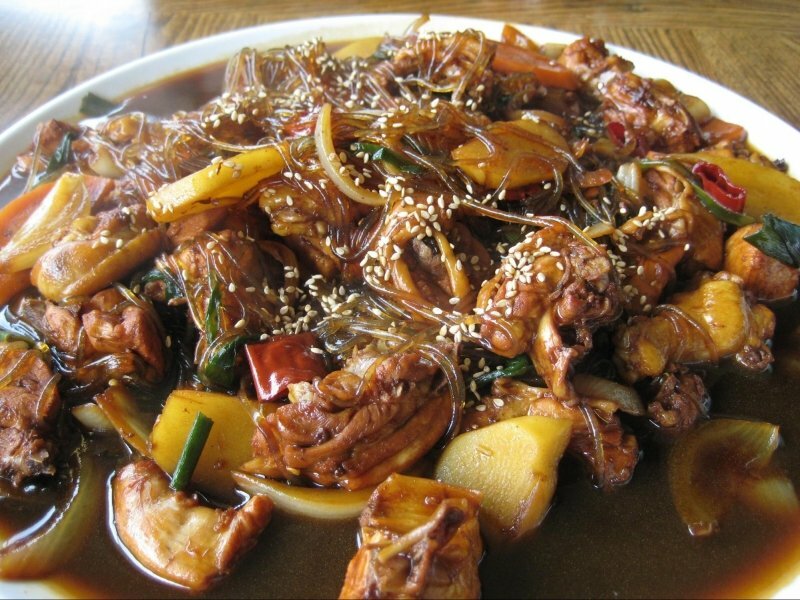 Known for its famously huge portions, the dish features chicken seasoned in Korean soy sauce and simmered into a stew, served with Korean glass noodles. Be careful when gulping down soju with your meal; the Andong variety is far stronger than the soju you’ll find in the city, being a speciality of the region created using a traditional recipe! Access: Take the express bus from Gangnam Express Bus Terminal or Dong Seoul Bus Terminal to Andong, then take Bus No. 46 to Hahoe Village. Cheongsando Island, or ‘green mountain island’, certainly lives up to its name. Remaining verdant through the four seasons, it’s a rural escape with stunning natural scenery that offers a true getaway from the hustle and bustle of the city. Walking trails cover the island, meandering through terraced rice paddies and golden fields of canola blossoms, winding up to sweeping ocean views atop the mountains. As Asia’s first Slow City (or ‘Cittaslow’), Cheongsando Island’s small population embraces the concept of ‘finding happiness in the slow life’. 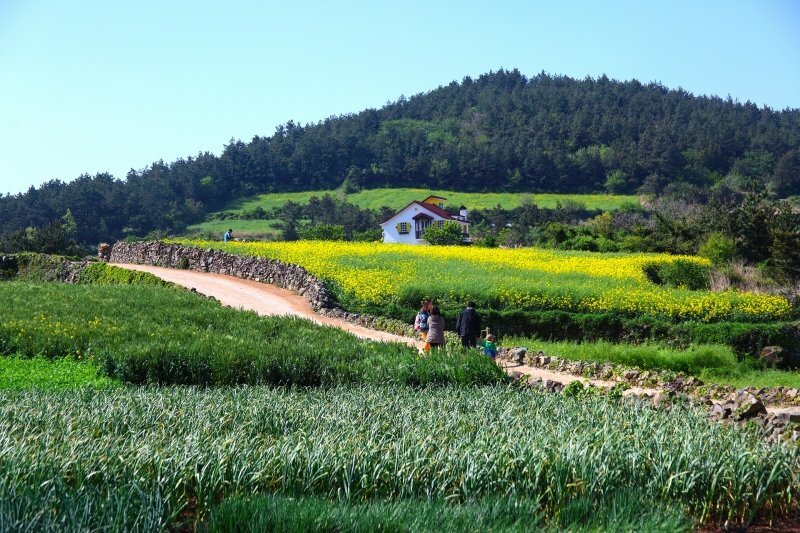 They host the annual Cheongsando Slow Walking Festival every April, just as the canola and barley flowers are coming into bloom. Visitors and residents are encouraged to stroll along the island’s Slow Roads as slowly as possible, to soak in the resplendent scenery and appreciate natural wonders like the changing of seasons. 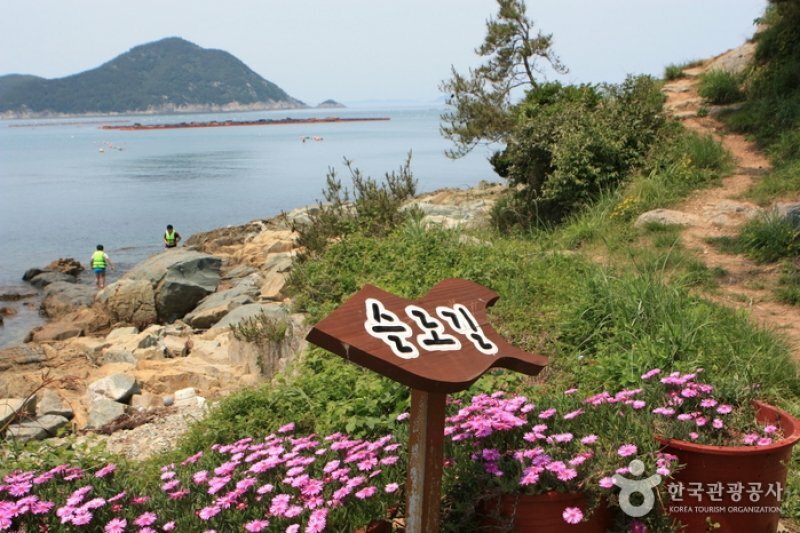 The island’s pastoral beauty is a magnet for filmmakers, and it was used as a filming location for the movie Seopyeonje and K-dramas such as Spring Waltz and Scent of a Woman. These filming locations are also open to tourists; in particular, check out the Seopyeonje Path while you’re there. Cheongsando Island has been gaining popularity with domestic tourists, but you won’t find many foreigners there (yet)! Access: Take an express bus from Seoul Central City Bus Terminal (Honam Line) to Wando Bus Terminal. From the Wando Passenger Terminal, take a ferry to Cheongsando Island. 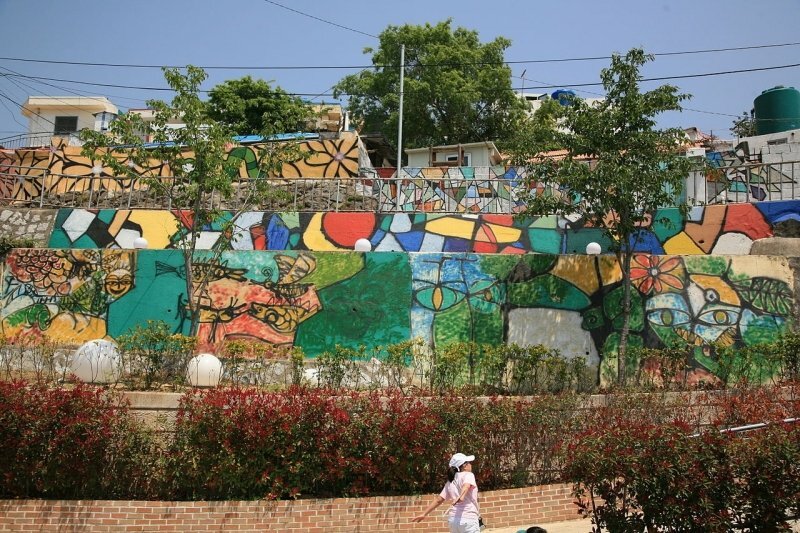 Dongpirang Mural Village, the hillside working-class village behind Joongang Market, was scheduled for demolition to make way for new apartment complexes back in 2007. What happened next, however, was that an artistic collective throughout the nation banded together with the aim of revitalising the village through street art. Fortunately, the murals were deemed too beautiful to tear down, saving the homes of the village’s inhabitants. Today, the colourful frescoes, eclectic sculptures and art studios are a testament to the power of art and community spirit. The murals are constantly evolving, being painted over by local and visiting artists, so you could come back year after year to find new masterpieces amongst the winding alleys. Don’t leave without trying Tongyeong’s signature street snack, kkulbbang, at Omisa Kkulbbang. 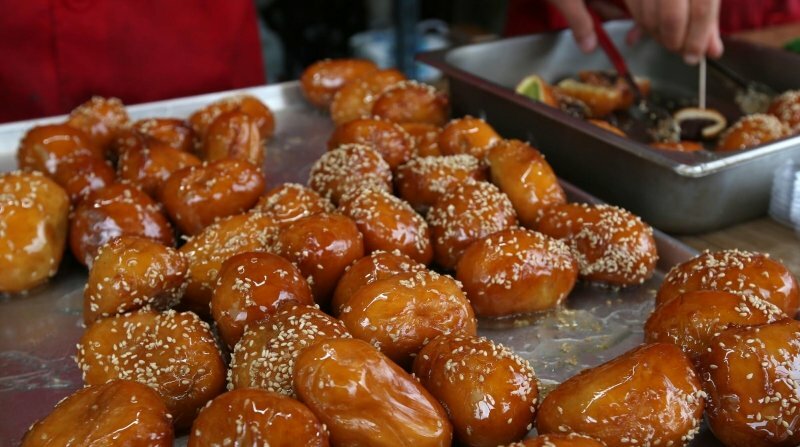 Traditional dough is filled with red bean and rolled into a round shape, then coated in a thin layer of honey and sesame seeds for a tasty treat. Access: From Seoul Express Bus Terminal, take an express bus to Tongyeong Bus Terminal, then transfer to Bus No. 101 and get off at Jungang Market Bus Stop. Dongpirang Village is a short walk away (400m). Seoraksan, Bukhansan and Hallasan have undoubtedly beautiful scenery, but Byeonsanbando National Park might be one of the country’s most underrated national parks. It’s the only park in the country that consists of elements from both the ocean and the mountains. Expect lush forest hiking trails, waterfalls cascading down moss-covered rocks, tranquil temples, and divine beaches. The hike to Gwaneumbong Peak (425 m) is well worth it for the panoramic views of the park, and passes the 30-metre tall Jikso Falls. 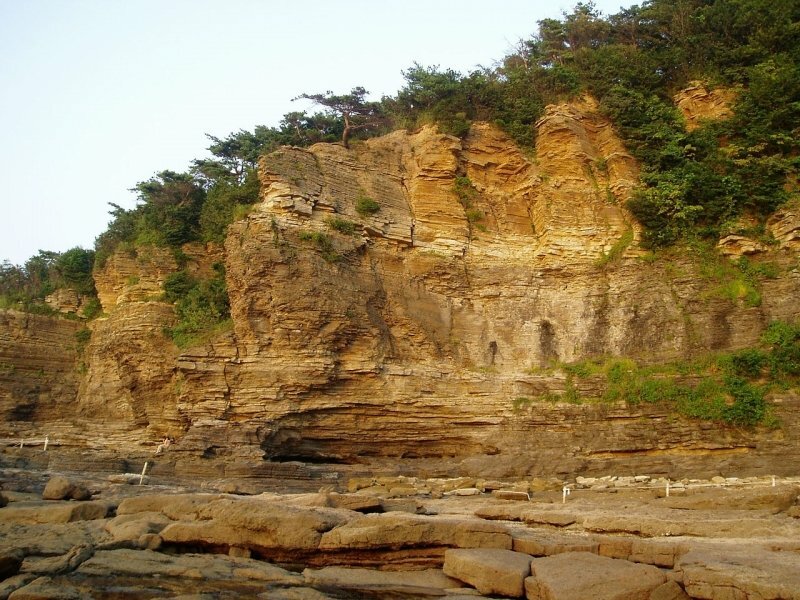 While traversing the coastline of Outer Byeonsan, make a stop at the famous Chaesokgang Cliffs, where centuries of coastal erosion has built up a cliff said to resemble a towering pile of books. Apart from natural landscapes, the park is home to major historical sites such as the Buan Guam-ri Dolmens (a ‘dolmen’ is a type of tomb structure created during the Bronze Age) and Yucheon-ril Kiln. 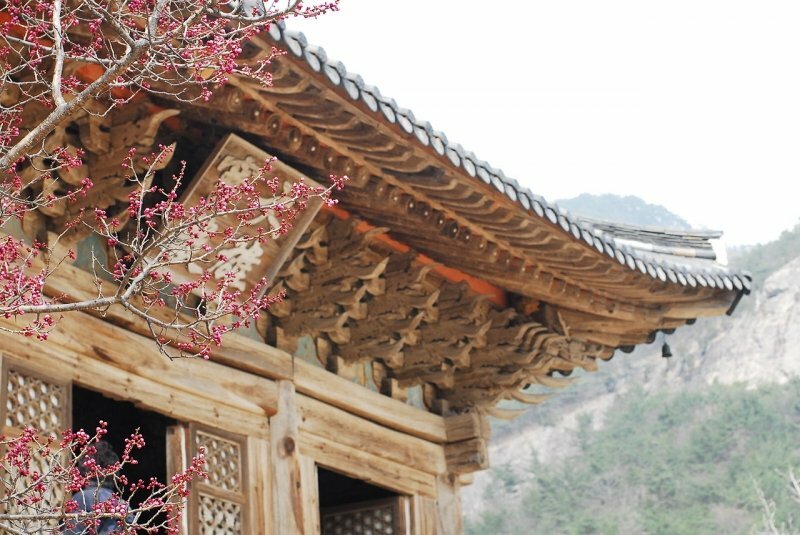 Several notable Buddhist temples can also be found here, such as the Naesosa Temple and Gaeamsa Temple; the former was built more than 1,000 years ago and offers overnight temple stays. Access: From Seoul Central City Bus Terminal, take an express intercity bus to Buan Intercity Bus Terminal, then take a local bus to Geokpo Terminal. Korea is sometimes referred to amongst locals as “the sleeping tiger”, drawing a comparison between the shape of the Korean Peninsula and that of a tiger. 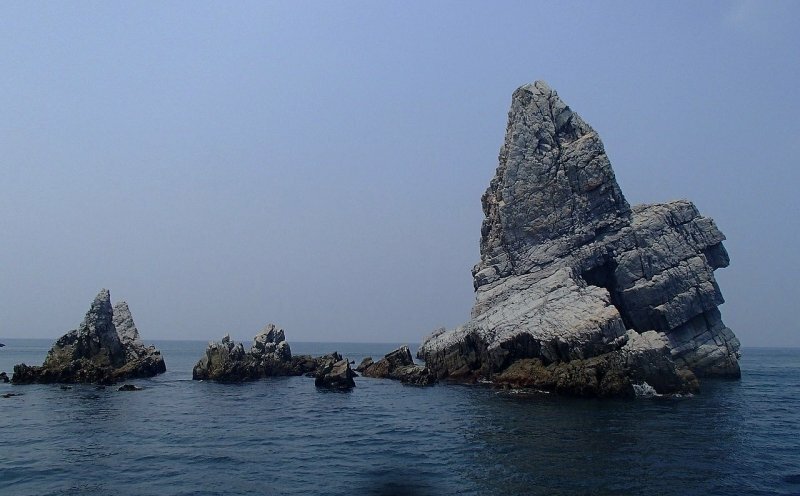 On the easternmost end of South Korea near Pohang, a small cape juts out to form Homigot, or the ‘tiger’s tail’. Homigot is the best place to catch a stunning sunrise, being the first place in the country to catch sight of the first rays of light on the horizon. 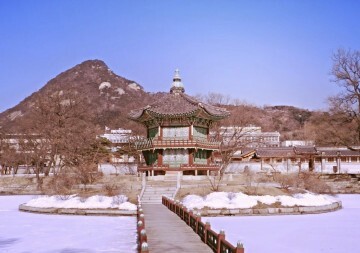 It’s also the venue for the Sunrise Festival held every New Year’s Day, with thousands gathering together to glimpse the country’s first sunrise of the new year, decorating and releasing lanterns of hanji (Korean handmade paper), and share a pot of tteokguk (rice cake soup) prepared for 10,000. 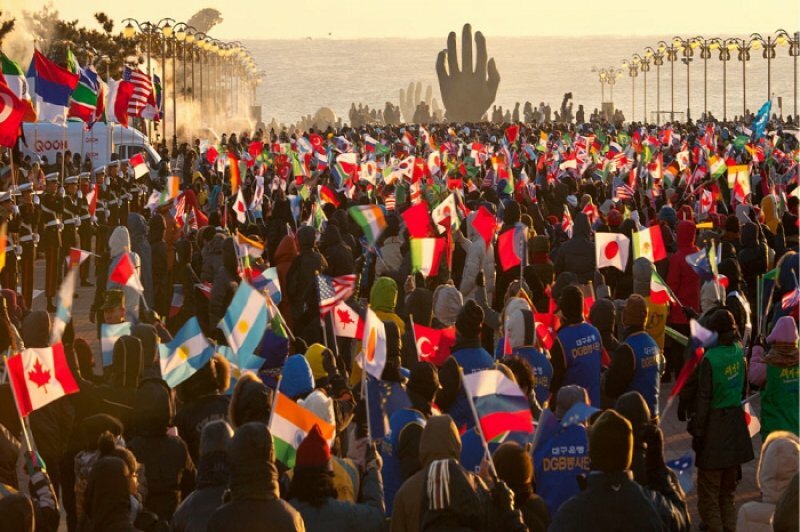 On any other day of the year, head over to Homigot Sunrise Square early for a poignantly beautiful scene, with the two bronze sculptures of hands reaching up to the dawning sky − one from the ocean, one from the land, palms facing each other. 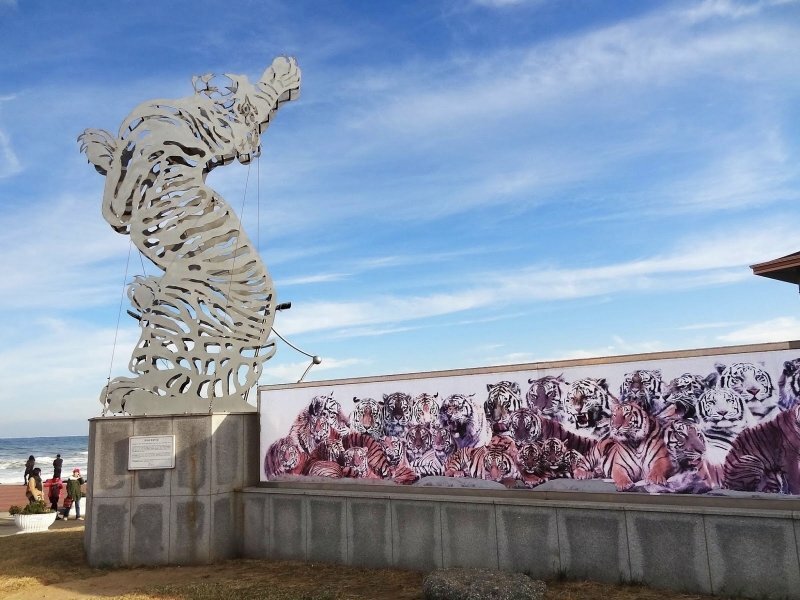 Known as Sangsaeng’s Hand, the twin sculptures symbolise harmony, reconciliation, and coexistence. Access: From Dong Seoul Bus Terminal or Seoul Express Bus Terminal, take Bus No. 200 to Guryongpo Bus Stop, then transfer to Bus No. 203 and get off at Homigot Sunrise Square Bus Stop. You’d be surprised at how different Korea looks outside of its major tourist cities; it feels like you’re being transported to a different place and time altogether. 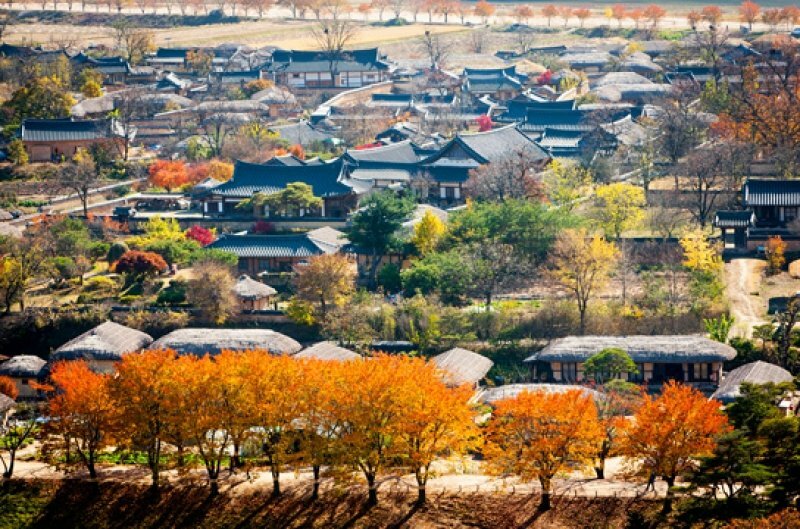 The charms of the Korean countryside are really irresistible, but don’t take our word for it − explore them yourself! 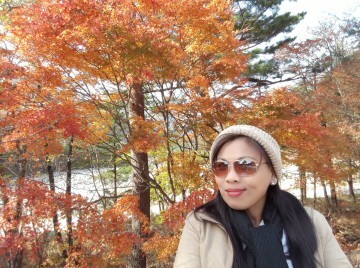 For more information, visit Korea Tourism Organization’s official website and Facebook page. Brought to you by Korea Tourism Organization (Singapore Office).